This hilarious book is full of fun facts about robots, computers, x-rays, and other cool technology and inventions! Did you know that the first mobile phone weighed nearly two pounds? That’s like carrying a pineapple around with you! How about that the only living things capable of powered flight are insects, birds, and bats? Or that certain robots can talk, control household devices, and memorize up to thirty different faces and tell them apart? Filled with tons of cool facts about technology and inventions, plus colorful, humorous illustrations, this latest book in the Did You Know? series is sure to be a hit! 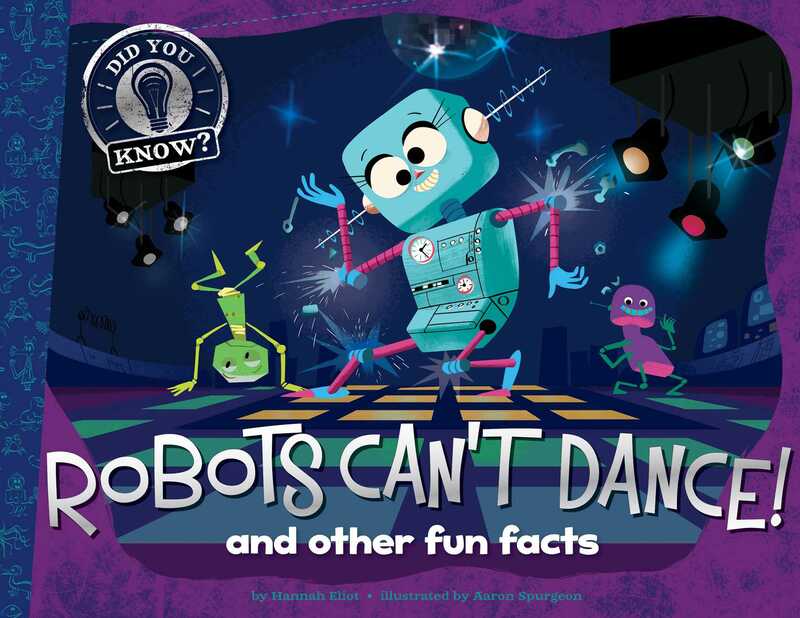 Book Cover Image (jpg): Robots Can't Dance! More books in this series: Did You Know?